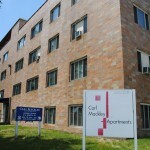 The Carl Mackley Houses, named for a worker killed during a 1930 strike, were commissioned by the American Federation of Full-Fashioned Hosiery Workers and financed by a loan from the Public Works Administration. 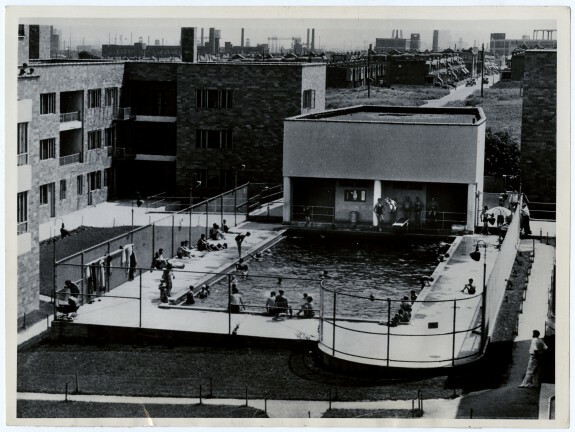 Completed in 1938 and designed by the same architect responsible for the Mackley Homes in Philadelphia, Oscar Stonorov, Westfield Acres in Camden served low-income residents well until it was undercut by rising levels of poverty, and in the 1980s, a scourge of drugs. Torn down with funds from HUD’s Hope VI program to create a more residential look and feel to the community, the new Westfield Acres extended outward with the guidance of the community development organization. 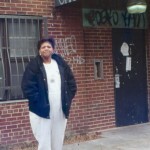 A leader in the old Westfield complex, Donza Harmon, never got the chance to return to the newly constructed community. 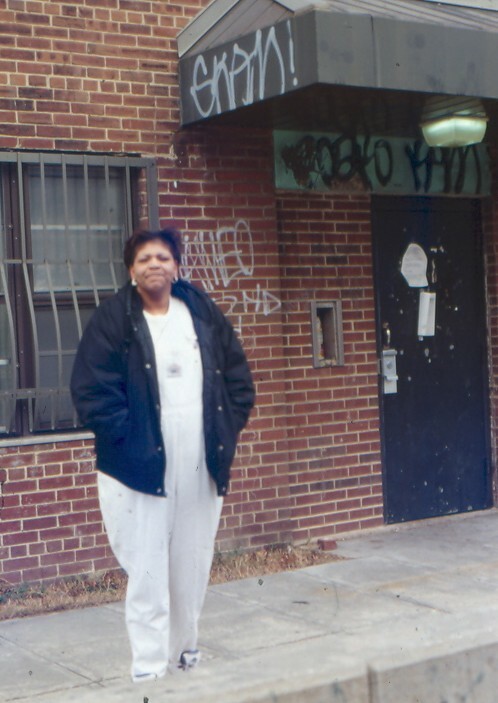 After utilizing a Section 8 voucher to live in the community of Pine Hill 20 miles away during construction, Harmon died at 46 in 2003, before she could return to the community she help combat crime and disinvestment. As the dominant response to the housing needs of low-income residents since the 1930s, public housing in the Philadelphia region provided shelter for thousands. Over the years, however, as needs as well as programs changed, the city and the region struggled to provide safe, decent, and sanitary living quarters when the private market failed to produce suitable alternatives. Greater Philadelphia, like urban-industrial regions nationwide, faced a serious problem housing lower-income workers in the late nineteenth and early twentieth centuries. Because government treated housing as a private commodity, it was up to voluntary organizations such as the Philadelphia Housing Association, formed in 1911, to identify the evils of fetid alleys and decrepit tenements and press city officials to pass and enforce stricter housing ordinances. However, by the 1930s housing codes, zoning, and home-ownership campaigns failed to appreciably better squalid housing conditions, and with the Great Depression jobless families faced evictions and foreclosures. The federal government became involved with Philadelphia-area housing during World War I, when the United States Housing Commission and the Emergency Fleet Corporation constructed well-designed communities for shipyard workers at Camden’s Yorkship Village and along Oregon and Elmwood avenues in South Philadelphia. Washington disposed of these projects after the war and reverted to its tradition of staying out of the housing market until the crisis of the Greater Depression. Among the leading voices demanding federal action was Catherine Bauer, whose writing on publicly funded modern housing complexes in Europe proved influential on the new Housing Division of the New Deal’s Public Works Administration. As director of the Labor Housing Conference in the early 1930s, Bauer joined with David Edelman of the American Federation of Full-Fashioned Hosiery Workers to secure funds from the Housing Division for “modern,” limited-dividend housing for Philadelphia’s ill-housed working class. Their efforts led to construction of the city’s first public housing units in North Philadelphia’s Juniata Park neighborhood. 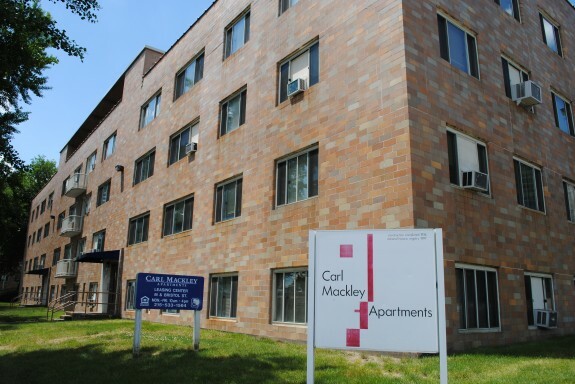 Designed by Russian-born, Philadelphia architect Oscar Stonorov, the 184-unit Carl Mackley Houses opened in 1935. The short-lived Housing Division built only one other project in Philadelphia, the modern, 258-unit Hill Creek Homes, located overlooking Tacony Creek Park in the Northeast. This promising approach to providing well-designed, European-style, modern housing developments ended when congressional critics, citing costs, rejected Bauer’s “communitarian” approach to low-income housing. The Wagner-Steagall legislation of 1937 opted instead for a two-tiered policy of providing mortgage insurance to promote home ownership for the “striving” middle class while relegating public housing to way stations for the poor. Such housing became not only class-designated, but race-segregated as the federal government applied its “prevailing neighborhood composition” rule. Although housing needs were great among African Americans, who were excluded from suburbia by the Federal Housing Administration’s “redlining” policies, public housing such as the Carl Mackley and the Hill Creek Homes were in predominantly white neighborhoods and therefore reserved for white families. By the 1950s Philadelphia’s growing African American population clustered in three peripheral neighborhood areas north, south, and west of the urban core. To meet the demand for shelter on the eve of World War II, the Philadelphia Housing Authority built the James Weldon Johnson and Richard Allen Homes (both in North Philadelphia) for black families, and the Tasker Homes in South Philadelphia for whites. Public housing during the war congealed segregation patterns. Pennypack Woods, Bartram Village, Passyunk, and Abbottsford Homes, all built under the 1941 Lanham defense housing act, housed mainly white war worker families. By war’s end the shabbily-built Shipyard Homes on the South Philadelphia “neck” housed black families. Under federal prompting, Philadelphia created a Housing Authority in 1937, a Planning Commission in 1942, and a Redevelopment Authority in 1946. The 1949 Wagner-Ellender-Taft Housing Act, which called for 810,000 units of public housing nationally, revived public housing in Philadelphia. 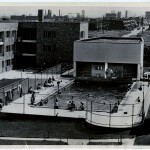 The city’s “Old Guard” Republicans never embraced public housing, but with election in the 1950s of the Democratic reform administrations of Joseph Clark and Richardson Dilworth, the city embraced the 1954 Housing Act to transform public housing into the handmaiden of an exuberant city rebuilding program. Because the 1954 law required communities to build replacement units for every family uprooted by public action, Philadelphia built 5,970 new public housing units between 1953 and 1961. Despite Bauer’s condemnation of those “God-damned skyscrapers,” 77 percent of those units were in high rise projects, such as Wilson Park, Raymond Rosen, Norris, Schuylkill Falls, Mill Creek, Harrison Village, Mantua Hall, and Hawthorne Square. African Americans occupied two-thirds of all these units. With “white flight” deepening existing segregation patterns, Philadelphia planners mobilized to use urban renewal in an effort to stabilize city neighborhoods. The 1956 Central Urban Renewal Area program, orchestrated by City Housing Coordinator William Rafsky, aimed to “scatter” smaller low-rise public housing projects as a way of lessening segregation and propping up sagging neighborhood real estate values. Whites in these “transitional” neighborhoods violently fought Rafsky’s plan for scattered, unobtrusive, and integrated low-rise developments, and by the late 1960s the gargantuan and racially-segregated 886-unit Southwark Plaza high rise, and the 510-unit Norman Blumberg tower (1967) attested to the failure of Rafsky’s plan for a more human-scale, integrated public housing. Regionally, Camden, N.J., experienced similar problems as growth in the black population put increasing pressure on public facilities, many of which had been built to meet the war emergency on a segregated basis. When in 1954 Camden’s housing chief, Joseph McComb, refused to integrate the city’s all-black projects, the NAACP sued, but to no avail. 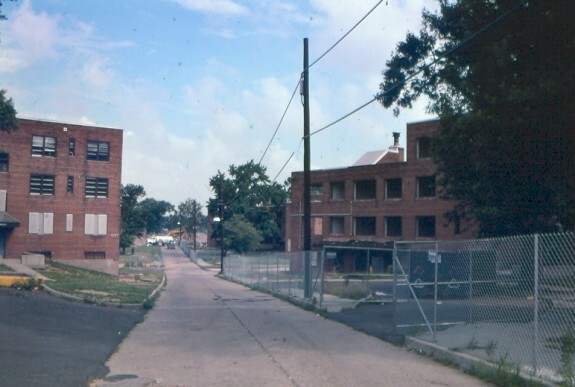 By 1966 Camden’s Roosevelt Manor, Chelton Terrace, and Branch Village remained segregated, and in the face of a number of demolition projects without replacement housing African Americans took protest to the streets. In the meantime, in line with the nation’s two-tiered housing policy, after 1959 housing authorities in Philadelphia and elsewhere authorized politically less contentious housing projects for the elderly, including Holmcrest (1967), Morton II (1969), Liddonfield II (1969), Emlen Arms (1970), and Plymouth Hall (1971). Philadelphia’s suburbs in Montgomery and Bucks Counties, which had avoided conventional public housing, embraced the opportunity to support elderly housing. Bucks never created a housing authority. 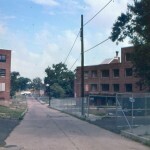 It kept its World War II-Lanham Act Warminster Heights project “affordable,” but sold the white-clapboard, barracks-type project to private owners. Under the Housing and Home Finance Administration’s 1959 Section 202 program ( government support for non-profit-owned elderly housing), however, a number of senior complexes arose in Bucks County including Grund Hall, Galilee Village, and Gloria Dei Plaza. Unlike Bucks, Montgomery County did create a housing authority, which built three low-rise, garden-type communities for families, Bright Hope Commons in Pottstown, Crest Manor in Norristown, and North Hills Manor in Abington Township. The Montgomery County Housing Authority also erected four attractive senior complexes: the nine-story Robert P. Smith Tower and the Sidney Pollock Homes in Pottstown, the five-story Golden Age Manor in Royersford, and the seven-story Marshall W. Lee Towers in Conshohocken. Beginning in 1965, Philadelphia seized upon options in new federal legislation that encouraged using existing housing units as alternatives to the disparaged “conventional” public housing projects. Here was another means of surreptitiously scattering public housing in less segregated neighborhoods. The program appealed to Housing Coordinator William Rafsky and Philadelphia Planning Commission director Edmund Bacon, who were faced with the spectacle of neighborhoods like Ludlow, where fleeing white families bequeathed streetscapes of abandoned row houses. Two-thirds of Ludlow homes were labeled “substandard;” 20 percent sat vacant. Using a “turnkey” or “used housing” approach, the Philadelphia Housing Authority acquired and converted abandoned housing into single-unit, scattered public housing. More often, developers negotiated with the Housing Authority to purchase anywhere from 50 to 100 units of “used housing,” rehabilitate them, and for an agreed upon price “turn the key over” to the authority. Viewed as easier than conventional public housing to own and manage, by the 1990s maintenance costs for this type of housing skyrocketed. By 2009 the Philadelphia Housing Authority owned and managed more than 4,400 occupied “scattered” single-family units, and 1,500 additional units sat empty and moldering. That year, HUD authorized the PHA to sell 1,800 “used housing” units. Still, publicly-owned housing did not disappear. In the 1990s the aging, often glowering edifices built in the 1940s, 1950s, and 1960s continued to shelter city families. Unlike in New York City, where city and state government aid kept public housing well-managed, maintained, and policed, in Philadelphia, as in many other cities, public housing deteriorated. The problem stemmed from the 1937 federal housing law. Through the Annual Contribution Contract and annual payments, Washington underwrote the entire capital cost of public housing projects. In return, Philadelphia exempted projects from taxes, leaving only management and maintenance costs to be covered by rents. Managers deposited rent money in reserve funds to cover anticipated maintenance costs. This was sufficient as long as projects functioned as way stations for the upwardly mobile working class, which they did between 1941 and 1950. By 1960, however, the situation changed. Hearings on “troubled” housing authorities, including Philadelphia, in 1998 disclosed mismanagement, dire budgetary problems, and outright corruption in the Philadelphia Housing Authority. The Philadelphia press lambasted the PHA as a “cesspool of patronage and inefficiency.” In response, Pennsylvania Governor Edward Rendell brought Carl Green to Philadelphia from the Detroit Housing Authority. A reformer, Green proved dynamic and aggressive in turning the PHA around. He used HUD’s new HOPE VI program, which funded replacement of distressed, often high-rise, public housing with low-density, mixed income communities, to demolish one aging complex after another. In 2005 HUD recognized him for his innovation and rewarded Philadelphia by selecting it for HUD’s flagship Moving to Work program, giving the authority maximum flexibility in how it operated city public housing. Between 1998 and 2011 Green compiled a distinguished record of accomplishment. Much of the city’s notoriously grim public housing stock disappeared. Philadelphia toppled eight of its large residential communities, including Paschall Homes, Liddonfield, the Martin Luther King Plaza, the giant Raymond Rosen Homes, the Norris Homes, and Mill Creek. Using HOPE VI, Philadelphia replaced not only towers like Cambridge Plaza and Mantua Hall but also low-rise complexes such as Tasker and Richard Allen with sprightly, well-landscaped, town house villages in the style of the “New Urbanism.” Mantua Hall became Mantua Square, Tasker, the “Greater Gray’s Ferry Estates. Despite these accomplishments, Green was forced to leave the PHA in 2011 following revelations of financial and personal improprieties. Funding from the 2009 American Recovery and Reinvestment (Stimulus) Act helped advance the transformation of Philadelphia’s low-income housing stock. Increasingly, after 2008 programs such as HOPE VI and Moving to Work enabled the authority to deconcentrate low-income families and to create mixed rather than monolithically poor communities and to expand local management responsibilities. Such reforms responded effectively to earlier critics, including Catherine Bauer, but they had the disadvantage of reducing the stock of affordable units. There is little evidence that the regional housing market has compensated for the loss, and thus the challenge to meet the needs of the region’s lower-income residents continues. John F. Bauman is Visiting Research Professor at the Muskie School of Public Service at the University of Southern Maine and the author of books and journal articles on a broad range of modern urban policy issues. Bauman, John F. Public Housing, Race, and Renewal: Urban Planning in Philadelphia (Philadelphia: Temple University Press, 1987). Bauman, John F., Norman P. Hummon, and Edward K. Muller, “Public Housing, Isolation, and the Urban Underclass: Philadelphia’s Richard Allen Homes, 1941-1965,” in Joe William Trotter, Jr. and Eric Ledell Smith, African Americans in Pennsylvania: Shifting Historical Perspectives (University Park: Penn State Press, 1997). Radford, Gail. Modern Housing for America: Policy Struggles in the New Deal Era (Chicago: University of Chicago Press, 1996). Wolfinger, James. Philadelphia Divided: Race and Politics in the City of Brotherly Love (Chapel Hill: University of North Carolina Press, 2007). Housing Association of Delaware Valley Papers, Urban Archives, Special Collections Research Center of Temple University Libraries, Samuel L. Paley Library, 1210 Polett Walk, Philadelphia. Records of the Department of Housing and Urban Development (HUD), Record Group 207, National Archives and Records Service, Archives II, College Park, Md.